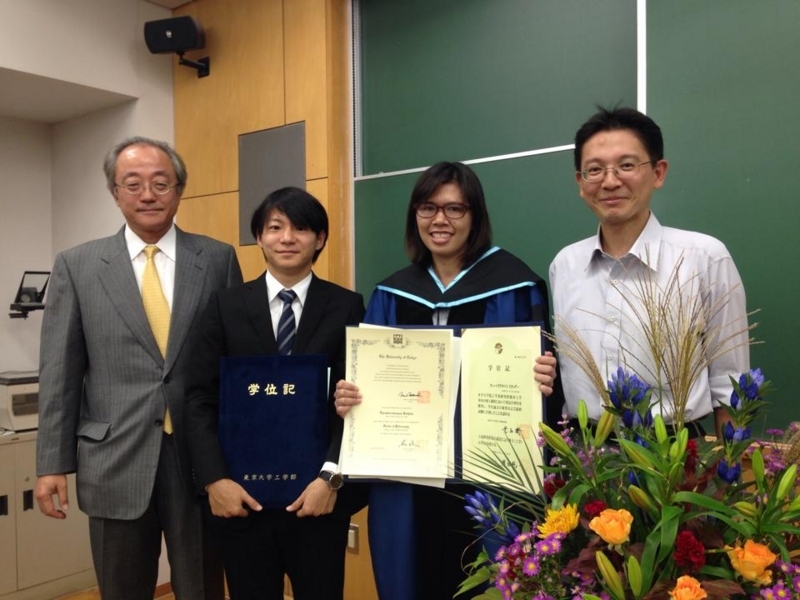 Yesterday, graduation ceremony was held. Suthida san completed doctoral course work. Congratulations! Her research topic was "bacterial leakage potential through microfiltration membranes". Her movie presentation, in which bacterial suspension was passing through channels, was very impressive. After graduation, she will go back to Thai. I wish you all the best for your future career. Thank you very much for everything that you've done for us!